Does unsafe food threaten public health in your country? Is the food you eat at risk of contamination? Or, perhaps, has your shipment of agricultural goods been held at the port of entry because of a potential cargo pest infestation? The sanitary and phytosanitary (SPS) plant health distance learning training courses are a “go to” resource to start answering your questions and address some of your challenges. Interactive and web-based, these courses support the effort to integrate SPS good principles on food safety, animal health, and plant health in trade along agricultural value chains. The Food Safety Network (FSN) recently released the first three of 14 SPS online training courses on plant pest surveillance, plant pest identification systems, and plant pest inspections. These courses feature the input of APHIS technical experts. These trainings provide knowledge on the importance of plant health in driving international trade and protecting countries and consumers from pests and diseases. Overseas, these trainings can help foreign agricultural officers and their counterparts in the government to understand and apply sound science principles of risk analysis to address plant health, animal health and food safety issues. Additional modules will be released throughout 2018 on a variety of SPS topics related to plant health, animal health and food safety. English-language courses – and their Spanish- and French-language translations – will be made available as they are completed for use by learners across the globe. Please, check this site regularly for updates. The Food Safety Network (FSN) is a U.S. government interagency collaboration between USAID and the USDA to promote the link among food safety, food security, and trade along agricultural value chains. Food safety improves public health; it also improves food security and ultimately improves trade and the economy. For more information go here. Please see below for the list of SPS distance-learning modules currently available. More modules will be posted as they are rolled out throughout 2018. Click here to access all the modules. This module provides an overview of the importance of pest surveillance and how it is used to address pest threats and to reduce pest risks. In addition to providing a foundation of the basics of pest surveillance, this module walks the learner through a fictional scenario to illustrate the principles of pest surveillance, imparting the importance of pest surveillance in supporting the trade of safe agriculture goods as well as in protecting a country against pest risks. A learner will also learn how to develop and conduct a survey program. Imagine a farmer in a remote village in Western Nepal complaining of many pepper plants succumbing to a mystery illness. Who can he talk to about the pest problem? What can be done to help him? He might need to take a picture of the mystery illness and bring it to a plant pathologist to have the problem diagnosed. A good plant pathologist can take a quick look at the photograph and diagnose the problem to be blight, describing fairly simple mitigation measures. This module covers basic principles of pest identification, applicable to anyone working on the production and trade of safe agricultural commodities – whether a Nepalese pepper farmer, a Paraguayan plant inspection official, or a member of the vegetables growers association in Tanzania. The learner will understand the goals of identification laboratories, testing options, and recording evidence to support final pest identification. Imagine your country has just received a shipment of mangoes from a neighboring country. How do you know that these mangoes are free of pests that could damage your domestic agriculture? How do you inspect the mangoes to ensure that they are safe to import and safe for the consumers of your country to eat? And – if you have exports leaving your own country – how can you ensure that your goods are free of pests and safe to eat? Knowing the inspection process is critical to ensuring that the goods leaving and entering your country are free from pests and in compliance with international regulations. 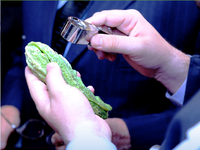 This module provides an overview of the inspection process and how the inspection process safeguards domestic agriculture and ensures safe trade internationally. It also includes step-by-step procedures for completing a thorough inspection, and it offers examples of how to tailor inspections to different commodities. An understanding of the principles of international trade can enable producers, importers, and exporters to abide by the regulations that govern the trade of agricultural products. To know the rules can also assist ministers of trade and governments to understand their rights and obligations under current international law. This course provides an overview of the historical events that helped shape modern international trade and gave rise to the development of the World Trade Organization (WTO) and the Agreement on the Application of Sanitary and Phytosanitary Measures (SPS Agreement). After completing the module, the learner will be able to explain the benefits of international trade, describe what types of measures the SPS Agreement covers, list the basic rights and key concepts of the Agreement, and explain how the United States implements the SPS Agreement. The import and export of agricultural commodities can pose risk as pest could potentially move from one country to another along with agricultural goods. How can regulatory and plant protection functionaries understand and implement a risk-based approach to keep out dangerous pests and facilitate the flow of safe – or low-risk – agricultural goods? This module teaches learners about pest risk analysis (PRA), its applications, and its relationship with the SPS Agreement and the IPPC. The module also discusses the importance of harmonized terminology for PRA, pathways for the introduction of pests, and specific terminology related to pest risk analysis. Through completing this module, the learner should have a good understanding of the various situations that may require conducting a PRA and how best to apply sound, risk-based approaches to inspecting goods and protecting local crops. When a potential threat is identified, how is the level of risk evaluated? How can regulatory and plant protection functionaries determine the amount of risk that can result from a new pest being introduced into a new country? How can you evaluate the magnitude of associated potential economic consequence of introducing and therefore begin to think about a plan to manage a certain risk? This module provides a basics overview of pest risk assessment and its fundamental components. A fictional situation will be provided to guide the learner through this process of conducting a pest risk assessment. The learner will learn about the types of information included in a pest risk analysis (PRA), where to obtain this information, and how to ensure that the information included in a PRA is reliable and can withstand scrutiny from international trading partners. By the end of the lesson, the student will have learned about initiating a pest risk assessment, estimating the likelihood of the pest’s introduction, and assessing the consequences of the pest’s establishment. After identifying and evaluating pest risks, practitioners need to understand how to address the risks that are described by the pest risk stage. What can be done about a risk that has been identified in a pest risk assessment? What are the options for reducing risk? What are the tradeoffs associated with the different options? This module covers the process of pest risk management and how pest risk management relates to other parts of pest risk analysis (risk assessment, uncertainty, and risk communication). This module with make learners familiar with the obligations a country has within an international framework of plant pest risk management. The learner will also be able to identify the International Standards for Phytosanitary Measures (ISPMs) that provide guidance in selecting appropriate options for managing plant pest risks. A Phytosanitary Certificate is an official document issued by USDA Animal and Plant Health Inspection Services (APHIS) indicating that consignments of plants, plant products or other regulated articles meet specified phytosanitary import requirements. Required by importing countries, these plant health certificates ensure that products are pest and disease free. The phytosanitary certification module provides an overview of what a phytosanitary certification system is and the principles that guide countries in creating this system. After completing the course participants will be able who has the legal authority to operate the program, be familiar with the certification system steps and process for issuing phytosanitary certificates for both export and re-export. The modules also touch on the importance for reliable record keeping and discuss future development in phytosanitary certification. By conducting pest risk analysis, the USDA works to protect the agricultural and natural resources of the United States from the entry, establishment and spread of plant pests. Pest risk analysis has three components, pest risk communication, pest-risk management, and pest risk assessment. This module covers the basic concepts, definitions, and framework used in risk communication. You will also understand how risk communication relates to the other components of risk analysis (risk assessment, risk management, and uncertainty). The module also touches on how people perceive and construct risk based on the factors that influence how people understand, react, and respond to risk. A Pest-free area (PFA) is an officially monitored and maintained area that is free of a specific pest. In this module, participants will discover how pest free areas can be utilized to support phytosanitary certification for exported commodities and strengthen the scientific justification for an importing country to require phytosanitary measures. The module covers pest free principles and concepts that guide the creation and maintenance of pest free area programs and identifies advantages of creating and maintaining pest-free areas. This module examines the U.S. process, for market access in detail. The participant will learn about the statues that give the Animal and Plant Health Inspection Service (APHIS) of the U.S. Department of Agriculture (USDA) the authority to regulate the importation of plants, animals, and their products. The module also describes how the U.S. statutes and regulations work to prevent the importation of animal and plant pests and diseases into the United States. The module list the steps of the U.S. regulatory process for market access requests and explain how they might affect a country’s market access request. The course also describe factors other than sanitary and phytosanitary risks that are considered during the U.S. regulatory process and explain why considering these factors is important to successful completion of the process. Before performing a phytosanitary treatment, one needs to know what a phytosanitary treatment is and why phytosanitary treatments are administered on agricultural products, as well as other products, that could harbor pests during movement and offloading of the commodity in another country. Every day agricultural commodities are grown, harvested, and sold. Most of these commodities are consumed or eaten by the domestic market. However, sometimes those agricultural commodities are sold and sent to other countries to be consumed there. Commodities that are exported using approved phytosanitary treatments to other countries must meet certain standards. The module identifies and explains the use of different types of phytosanitary treatments including chemical and non-chemical. These courses are a resource for anyone interested in international trade of agricultural goods including Foreign Service officers, U.S. interagency partners, and government officials, as well as private sector associations, industry groups, and USAID project implementers overseas.